Amazon leaks Fujifilm X-Pro 1 price? Amazon appears to have leaked the official price for the Fujifilm X-Pro 1 after it had also leaked the existence of the camera just a few weeks before. Coming in at a frankly premium $1699.99 for the base you'll then have to start splashing out more than $500 just for the lenses as well. This comes after Fujifilm announced the X-Pro1 as a direct competitor to Micro Four Thirds and other hybrid camera systems. The camera boasts some seriously impressive specs, many of which can be attributed to the brand-new sensor that has been built for the X-Pro 1 called the X-Trans CMOS. By rearranging the way a sensor detects colours Fujifilm have accomplished what they believe to be a much better quality image with far less distortion than rival cameras. To process these higher quality images they've had to build a brand-new processor as well in the form of the EXR Processor Pro. In the lens department you've then got a choice of either a XF18mmF2 R lens, XF 35mmF1.4 R or a XF60mmF2.4 R Macro lens. 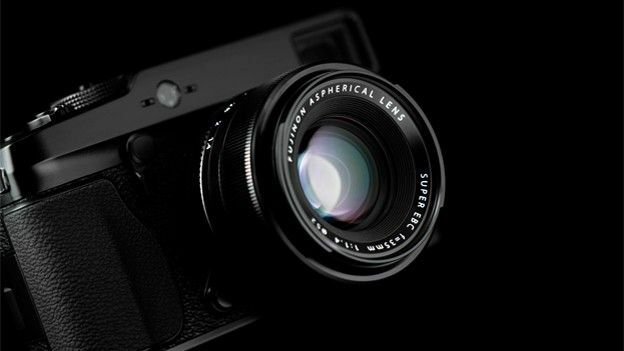 Helping you translate all this tech into a great image Fujifilm have equipped the X-Pro 1 with a Hybrid Multi-Viewfinder which gives you the ability to swap between using an optical viewfinder or a digital one, in turn giving you the best of both worlds. The X-Pro 1 has 16.3 million pixels and will record video in full-HD at 1080p at 24fps. It also then comes with all the usual software-based bells and whistles you'd expect such as red-eye reduction, face recognition and automatic scene selection. With a price of what looks to be well over £1000 in the UK it is certainly gunning for the top-end of the market so expect it to rival products such as their Leica D-Lux 5 and others.